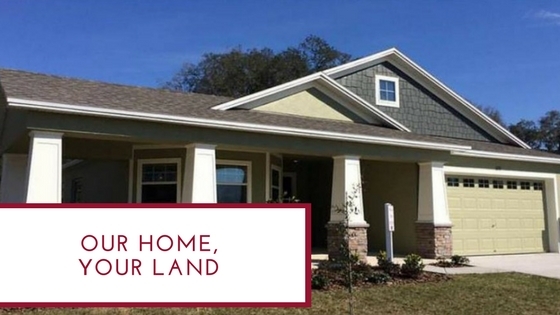 Southern Homes builds new homes throughout Polk County, but you don’t have to buy in one of our communities to own a Southern Home! If you have land that is located within 10 miles of any of our active communities, we can build your new home. Southern Homes has been building quality new homes of superior design in Polk County for 25 years. We take great pride in our work and deliver each Southern home as if it were our own. Provided that your financing process stays on track, it typically takes between 90-120 days from your contract signing to start of construction on your new Southern home. Once financing is finalized, you home is released to our construction team. The amount of time to start your home will vary depending on our current building schedule, permitting times, weather, and other extenuating circumstances. A “Build Comm” meeting will be scheduled approximately 2-4 weeks before the start of construction. At this meeting, you’ll meet with your Personal Builder, review and sign your blueprint and elevation, discuss the features of your new home, verify TV and phone outlet locations and provide your Builder with phone numbers for your weekly updates. Following your initial “Build Comm” meeting, your Personal Builder will check in each Friday to provide building updates and answer any construction questions you may have. Our goal is to finish your home in the shortest possible time without compromising quality. While circumstances may arise that causes a delay, we aim to have your home built 90 – 120 days from the date of the footer inspection to your New Home Orientation. You’re almost there! After signing the Affidavit of Completion, it usually takes up to 14 days to close on your new home. Welcome home! We’ll still be here after you receive your keys and toss out the last moving box. Every Southern home comes with a full 10-year structural home warranty, a two-year systems warranty and a one-year workmanship warranty. Are you ready to build a new Southern home? Check out our available floorplans and contact us to get the process started.